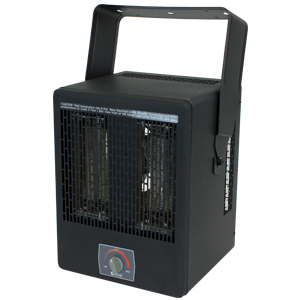 The KBP is the industry standard for multi-wattage garage / shop heaters. 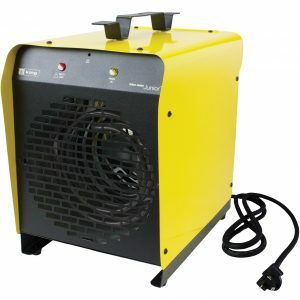 Designed for rugged performance, the flow-through design efficiently moves air by pulling air from the back of the heater and discharges it out the front, easily heating a large space. With high quality components suitable for both residential and commercial applications, it comes standard with a 3-position switch and an accurate built-in thermostat. The integral fan delay continues to dissipate heat from the elements during the cool down period, maximizing the heat exchange in the room. King’s exclusive dual Pic-A-Watt steel fin elements allow customers to select from a range of wattage options, tailoring the heater to an area’s specific heating requirements. 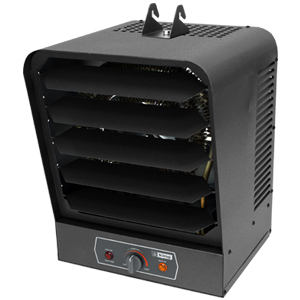 The industry standard for multi-wattage garage / shop heaters. Featuring standard features such as a 3-position switch (Heat/Fan Only/Off) and an accurate built-in thermostat. Designed for rugged performance, the flow-through design efficiently moves air by pulling air from the back and discharges it out the front, easily heating a large space. 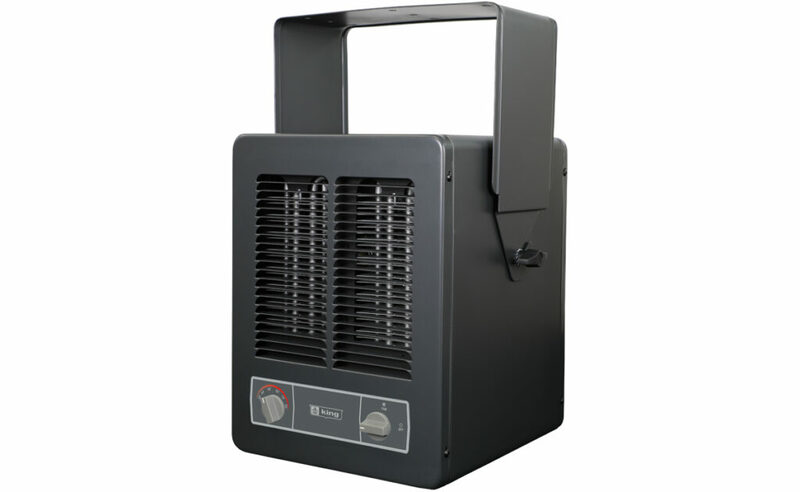 Contractor shall supply and install KBP Series unit heaters manufactured by King Electrical Mfg. Company. Heaters shall be of the wattage and voltage as indicated on the plans. Pic-A-Watt Heating Element: Exclusive King multi-tap element allows field adjustment to several wattages at time of installation. Steel sheath elements of various resistance are copper brazed to steel plate fins producing a multi-wattage heating element. Fan/Heat/Off Switch: 3-position switch provides heating and summer fan only operation. Fan Delay Switch: The fan continues to operate after the thermostat shuts off in order to remove the residual heat left in the elements. Power must not be interrupted. 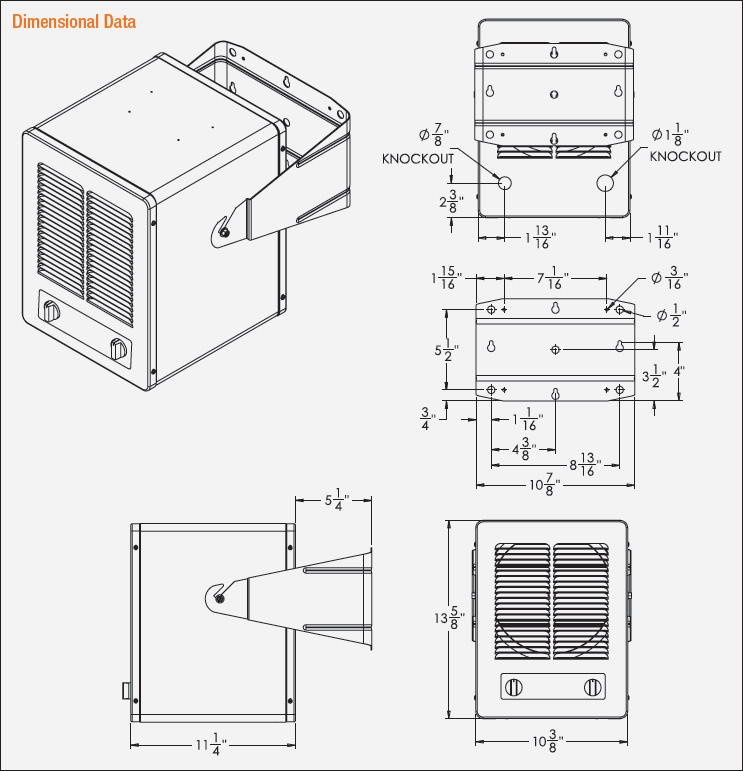 Universal Mounting Bracket: Combination ceiling/wall bracket is included with every heater. Unit Bearing Motor: Permanently lubricated, long life, unit bearing 4-Pole motor with 20 cc of oil. Enclosed rotor provides long-lasting, trouble-free operation. Thermally protected. 1300 RPM. 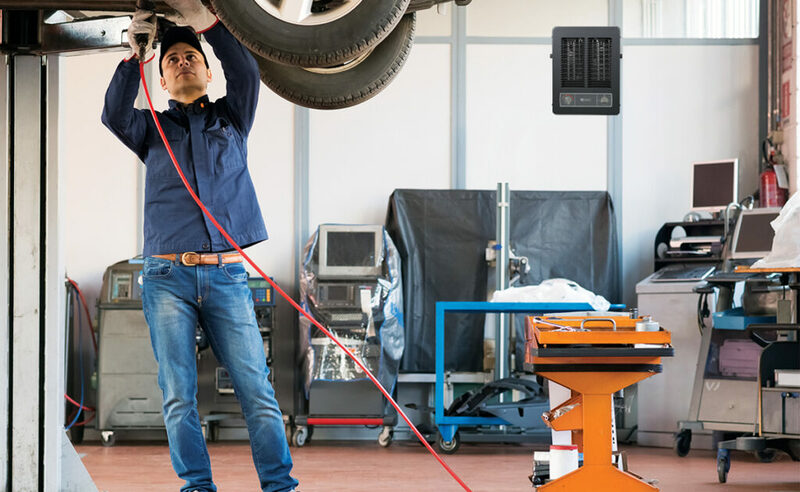 Electrically Held Smart Limit Protection: Heater shuts off when an over temperature condition exists and automatically resets when the normal operating temperature returns. KB Eco2S simply works smarter not harder. Offering unparalleled performance, energy efficiency and user control thru another King innovation, the ECO2S 2-stage electronic thermostat with remote control. Rugged design. Ideal for portable temporary heating or it can be permanently mounted to the wall or ceiling by using the included heavy duty bracket.